Is there a better alternative to Atomic Cannon? Is Atomic Cannon really the best app in Strategy and War category? Will Atomic Cannon work good on macOS 10.13.4? Atomic Cannon is a fun arcade game that is easy to learn but difficult to master. 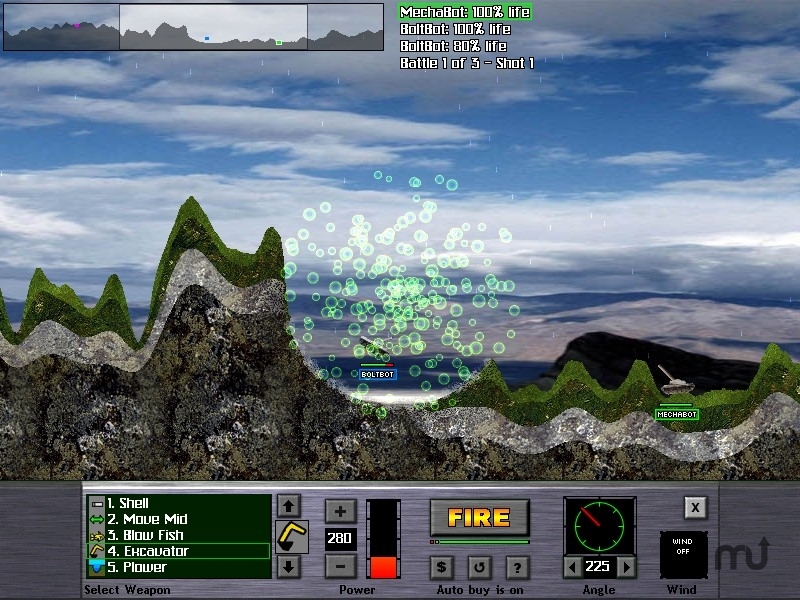 In this strategic tank artillery duel you battle against computers or friends on 25 different landscapes. Players take turns aiming and firing at each other with over 85 weapons of mass destruction including nuclear bombs. Version 0.5: Release notes were unavailable when this listing was updated. Atomic Cannon needs a rating. Be the first to rate this app and get the discussion started!